This brings some decent problems to the standard cryptoinvester who is willed to host Masternodes. Why? A year ago the average guy was happy to finaly start one Masternode – it could have been a big invest up to 25000 Dollar back those days. Managing this one Masternode was quiet easy with some 3rd party service or a basic VULTR Server. In 2019 the average cryptoinvester could easily run 10+ Masternodes by investing 500$. Those Masternodes may bring a Monthly return from something like 20 to 40 Dollar. Using a 3rd party service to host 10 Masternodes a months will generate costs like minimum 10 Dollar which is equal to 50 percent of the passive income generated. This makes hosting Masternodes even less profitable. So, 2019, we got thousands of investors with like hundert thousand Masternodes which need to be hosted, maintained and PAID. There are currently three points you need to take care of to get the price you need to pay per Node down to < 50 cent per Masternode per month. How much RAM is needed to host an average Masternode? The answer is roughly 300MB per Node – this value shall be fine to know how to max out your VPS Server. You also have to take care that you get some decent HDD/SSD disk and some basic CPU with 1/2 cores. One of my favourite hosting companies in 2019 right now. You can get a 2GB VPS Server for ~4.5$ per Month. On a 2GB Server you could run up to 7 Masternodes which makes the monthly cost of Masternode roughly 64 cent. Even cheaper you can get your VPS hosted on HETZNER. The cheapest package also comes with 2GB of RAM and is available for ~3,5$. The only thing I dont like about Hetzner is there way to complicated Website. I dont think its that much intuitive and thats why I skipped using them. Still the price is very fair. You will get 7 Masternodes hosted for roundabout 50 cent per Node. Well, what can I say about VULTR. Everyone who has ever read a Masternode guide will know VULTR, thats the good part about it. Since VULTR realized that those Masternodes made them prob the best year ever in company history they didnt really care about prices. You got to pay 10$ per Month to roughly host 7 Masternodes which makes VULTR way to expensive from my point of view. Hosting a Node is equal to paying ~1,4 Dollar per Month. A very, very, very important but almost not known fact is to understand how Masternodes can be setup. The main factor many people dont know about Masternodes is that almost every PIVX Fork can be setup multiple times on the same IP. You dont have to buy one VPS server for each Masternode of the same coin. If you buy a 2GB VPS you can setup 7 Masternodes of the same coin – using the same IP address BUT different PORT each time. This works really solid on many many well known projects. Those type of Masternodes are the ones you can host multiple times for less then 50 cent per Month. If you compare the monthly costs against the monthly profits you can generate hosting a Masternode on your own can be very interesting. 50 Cent monthly cost against 10 Dollars monthly Profit per Masternode – Current Invest around 100$ per Node. The good part is: You dont have to be a Linux Guru to host a Masternode. The bad part is: You have to learn some basic Linux commands. I checked out over 30 different Masternode coins and unfortunately 80% of them have way to complicated Masternode guides. First of all, get a DECENT tool to connect to your VPS. All of the Masternode guides recommend to use PUTTY but there are way better tools to use. I only use TERMIUS and I LOVE IT. 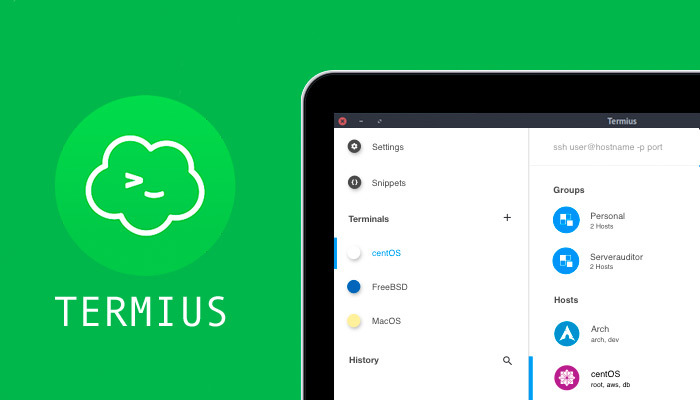 Termius – Multiplatform to access your VPS from any device. After you added the VPS ( IP + USERNAME + PASSWORD ) to the favourite tool of your choice and connected to the Server the installation can begin. You dont have to learn any commands to host a Masternode – there are guides from 1-Click to “10 Steps” around for each type of Node. I prefer coins with a “1 click Install” Script – like MONK and many others use. You only have to copy paste one command at the GOOD Linux – 1 click installers and you are finished with setting up the Linux Servers Firewall, syncing the Wallet and configurating the Wallet configs. One of the best installers for Linux – the MONK 1 Click script. You have to know how many Nodes you COULD run on each Server. If you have 10 Masternodes of 5 different coins you will not need 10 VPS Servers. Make sure to check out the Masternode guides available for your coin and ask others if its possible to run multiple ones at the same IP with different PORTs. Do some calculation to know what kind of VPS Server you will need. Calculate with roughly 300MB per Node on a Linux Server. This value shall suite 90% of all Masternode coins. If you own 10 Nodes you may only need one VPS with 4GB RAM for less then 10 Dollar. Google for some basic Linux commands. You were able to use a Windows/Mac so you will also be able to use Linux. It is not that complicated.